Cold War atmosphere is back in the United Nations. 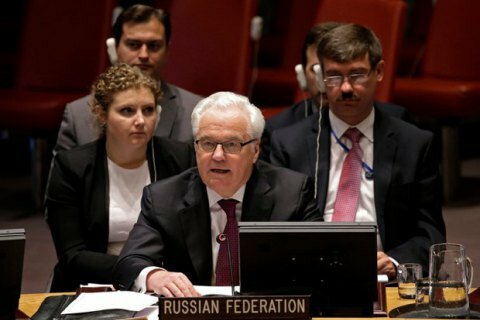 Although the Security Council of the United Nations has in the recent months increased the number of meetings, this quantity did not grow into quality, because the unconstructive position of Russia that hampers the resolution of global conflicts. The Extraordinary and Plenipotentiary Ambassador of Ukraine to the United Nations Volodymyr Yelchenko said this in an exclusive interview to LB.ua. "The first thing that catches the eye is that the Security Council itself has changed. It has turned into an almost ongoing body - that is, two or three meetings, lots of new issues every day. But this quantity, unfortunately, does not grow into quality," the diplomat said. Yelchenko says the situation reminds him not even the nineties, but rather the late 70s – early 80s, when he has just started his career. "The peak of the Cold War, the approaching collapse of the Soviet Union, the crisis. And now it can be clearly seen in the consideration of any matter as nations are getting radically divided along "for" and "against" lines," the diplomat says. According to him, the previous 20-30 years in the UN, "were different, because the world then has departed from the bipolar model and did not have such a fierce struggle over some ideological issues." "Unfortunately, it's gradually coming back. The delegation of the Russian Federation at the General Assembly or the Security Council, or at a meeting of any UN organ always states an own position, which is completely different from all the others. That is, they behave as if the whole world has united against the Russian Federation," the diplomat noted. Such a behaviour of Russia is not just about the Ukrainian issue, but also on any other matter, he remarked. "Surely, this kind of attitude leads to confrontation. What we have tried for so long and so hard to leave behind is now back again. The Security Council is unable take any decision on the Syrian issue, or Yemen, or the settlement of conflicts in Africa, Palestine etc. And it is certainly the case when we try to talk about Russian-Ukrainian conflict," stressed the Ambassador of Ukraine to the United Nations.